Twitter Your Way - A clean, uncluttered timeline featuring just the content you care about; tweets are presented in chronological order and other people's likes aren't placed in your timeline. 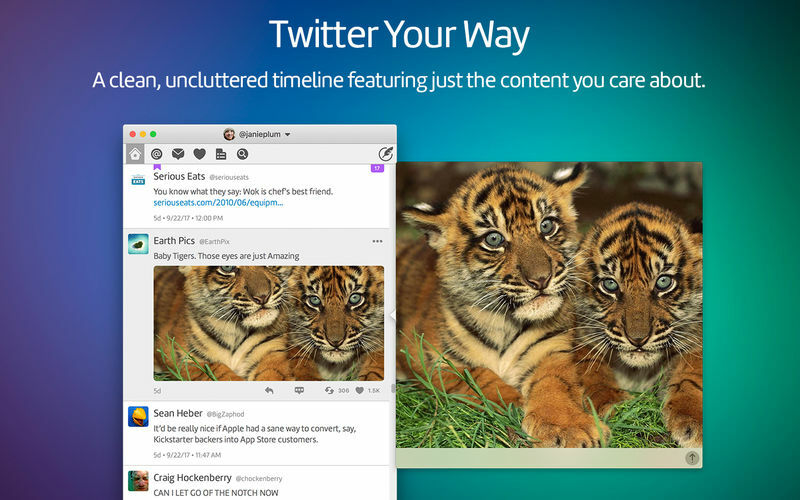 Designed for macOS - Twitterrific feels right at home on the Mac, with support for Notification Center, Retina displays, built-in sharing, beautiful animations, full-screen mode, and more. 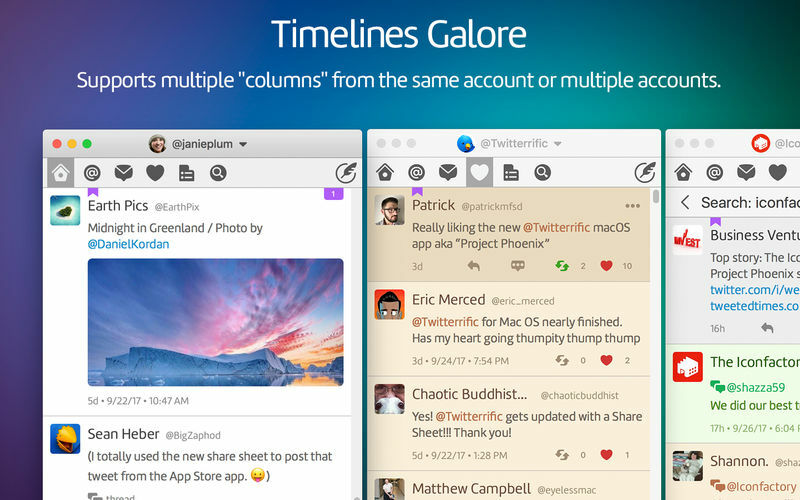 Timelines Galore - Take control of your tweets with multiple timeline windows from the same account or multiple accounts, all organized on your Mac’s desktop. Full Accessibility - Navigate the timeline, compose tweets, and even attach image descriptions quickly and easily using Voice Over. 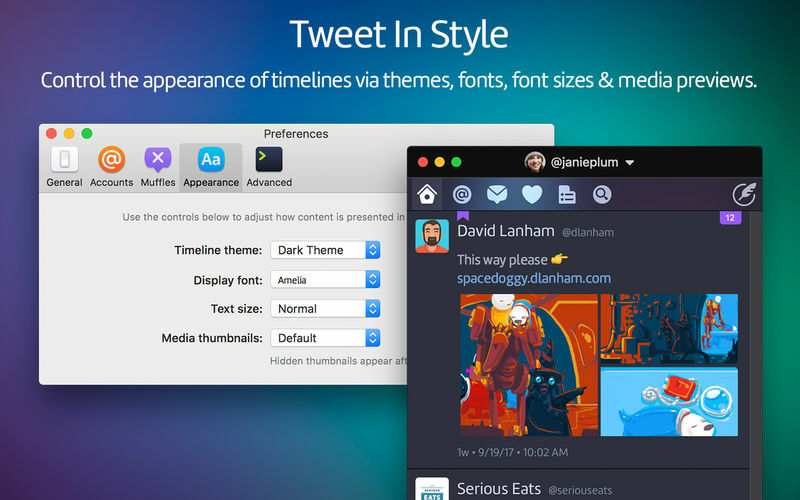 Tweet In Style - Twitterrific's appearance panel supports themes, lets you customize fonts and type sizes, and even lets you control how media appears in the timeline. Read Anywhere - Whether you use Twitterrific on your iPhone, iPad, or another Mac, the app automatically syncs your reading position for a seamless Twitter experience.